Thanks to feedback received from my earlier post on Survey Research, I purchased a few more books from the Sage Quantitative Applications in the Social Sciences series: Arlene Fink, The Survey Kit (2002) and Graham Kalton, Introduction to Survey Sampling (1983). These monographs are short and readable explanations for people interested in specific research methodologies or background theory. While purchasing these books, I also bought another Sage monograph, Tim Hagle, Basic Math for Social Scientists: Concepts (1996), which arrived this morning. As I have gotten deeper into empirical work, I really want to fully understand the math that is driving the Stata and SPSS regression models and diagnostic tools. Fortunately, this little book by Hagle (who is a lawyer and a political scientist) turns out to be the book that I was one day hoping to find: a quick, nuts & bolts discussion of the important math concepts that underlie probability and multivariate regression: algebra review of exponents and logarithms, limits and continuity, differential and integral calculus (which I have forgotten from college), matrix algebra, and eigenvalues and eigenvectors. It also has a handy summary of math symbols and expressions. I am very happy with this purchase. From the description: "Anyone who has attended law school knows that it invokes an important intellectual transformation, frequently referred to as learning to think like a lawyer. This process, which forces students to think and talk in radically new and different ways about conflicts, is directed by professors in the course of their lectures and examinations, and conducted via spoken and written language. Beth Mertz's book is the first study to truly delve into that language to reveal the complexities of how this process takes place." Jack Rakove reviews Jan Crawford Greenburg's Supreme Conflict in this morning's Chicago Tribune book section . 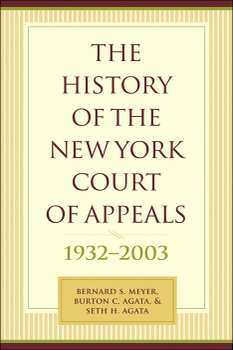 From the Description: "The Supreme Court Compendium is the only reference that presents historical and statistical information on every important aspect of the U.S. Supreme Court, including its history, development as an institution, the justices’ backgrounds, nominations, and confirmations, and the Court’s relationship with the public and other governmental and judicial bodies. 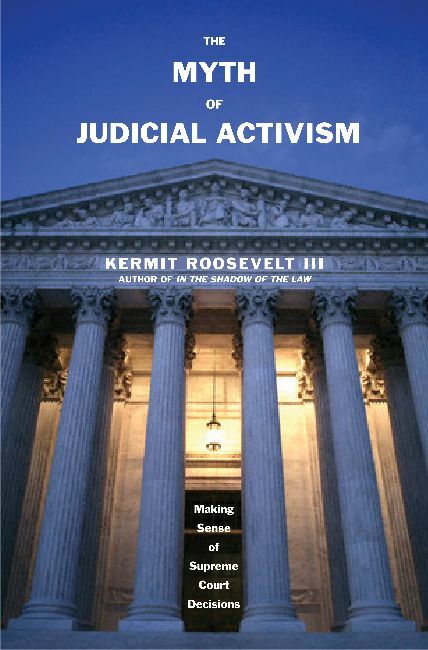 The newest edition of this comprehensive reference includes important new perspective on the legacy of the Rehnquist court.... 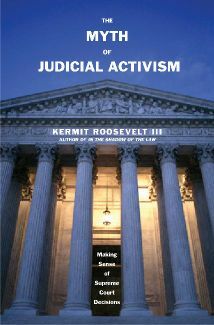 This new edition includes more than 180 tables and charts and is updated to cover Supreme Court events through the 2005-2006 term. This reference is an invaluable resource to judicial scholars, students, and those interested in the history of the Supreme Court." From the Description: "At first glance, campaign finance reform looks like a good idea. McCain-Feingold, for instance, regulates campaigns by prohibiting national political parties from accepting soft money contributions from corporations, labor unions, and wealthy individuals. But are such measures, or any of the numerous and similarly restrictive proposals that have circulated through Washington in recent years, really good for our democracy? John Samples says no ...."
A treasure-trove of data and information on our state court systems is contained in the recently-released State Court Organization, 2004. Moreover, the Bureau of Justice Statistics (BJS) makes available much of the source-data in user-friendly formats. According to the good folks at BJS, the publication "presents detailed comparative data by State trial and appellate courts in the United States. Topics covered include: the number of courts and judges; process for judicial selection; governance of court systems, including judicial funding, administration, staffing, and procedures; jury qualifications and verdict rules; and processing and sentencing procedures for criminal cases. Diagrams of court structure summarize the key features of each State's court organization." 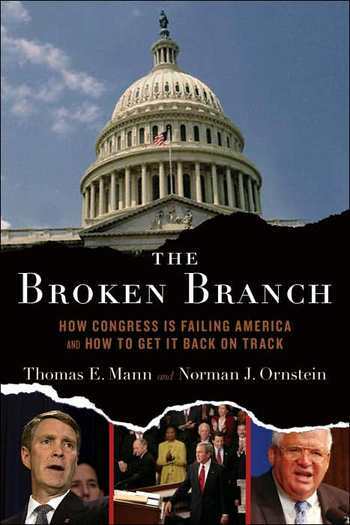 "Mann and Ornstein, two of the nations most renowned and judicious scholars of government and politics, bring to light the historical roots of Congresss current maladies, examining 40 years of uninterrupted Democratic control of the House and the stunning midterm election victory of 1994 that propelled Republicans into the majority in both House and Senate. The byproduct of that long and grueling but ultimately successful Republican campaign, the authors reveal, was a weakened institution bitterly divided between the parties. They highlight the dramatic shift in Congress from a highly decentralized, committee-based institution into a much more regimented one in which party increasingly trumps committee. The resultant changes in the policy process--the demise of regular order, the decline of deliberation, and the weakening of our system of checks and balances--have all compromised the role of Congress in the American Constitutional system. Indeed, Speaker Dennis Hastert has unabashedly stated that his primary responsibility is to pass the president's legislative program--identifying himself more as a lieutenant of the president than a steward of the house. From tax cuts to the war against Saddam Hussein to a Medicare prescription drug benefit, the legislative process has been bent to serve immediate presidential interests and have often resulted in poorly crafted and stealthily passed laws. Strong majority leadership in Congress, the authors conclude, led not to a vigorous exertion of congressional authority but to a general passivity in the face of executive power." "An examination of what is entailed by pledging allegiance to a constitutional text and tradition saturated with concessions to evil. The Constitution of the United States was originally understood as an effort to mediate controversies between persons who disputed fundamental values, and did not offer a vision of good society. In order to form a 'more perfect union' with slaveholders, late eighteenth century citizens fashioned a constitution that plainly compelled some injustices and was silent or ambiguous on other questions of fundamental right. This constitutional relationship could survive only as long as a bisectional consensus was required to resolve all constitutional questions not settled in 1787. 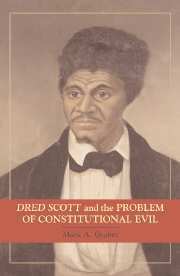 Dred Scott challenges persons committed to human freedom to determine whether antislavery northerners should have provided more accommodations for slavery than were constitutionally strictly necessary or risked the enormous destruction of life and property that preceded Lincoln's new birth of freedom." "James Madison is the thinker most responsible for laying the groundwork of the American commercial republic. But he did not anticipate that the propertied class on which he relied would become extraordinarily politically powerful at the same time as its interests narrowed. This and other flaws, argues Stephen L. Elkin, have undermined the delicately balanced system he constructed. 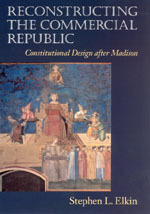 In Reconstructing the Commercial Republic, Elkin critiques the Madisonian system, revealing which of its aspects have withstood the test of time and which have not. The deficiencies Elkin points out provide the starting point for his own constitutional theory of the republic—a theory that, unlike Madison’s, lays out a substantive conception of the public interest that emphasizes the power of institutions to shape our political, economic, and civic lives. Elkin argues that his theory should guide us toward building a commercial republic that is rooted in a politics of the public interest and the self-interest of the middle class. He then recommends specific reforms to create this kind of republic, asserting that Americans today can still have the lives a commercial republic is intended to promote: lives with real opportunities for economic prosperity, republican political self-government, and individual liberty." "This work offers a set of extended interpretations of Madison's argument in Federalist X of 1787, using ideas from social choice theory and from the work of Douglass North, Mancur Olson, and William Riker. Its focus is not on rational choice theory itself, but on the use of this theory as a heuristic device to better understand democratic institutions. 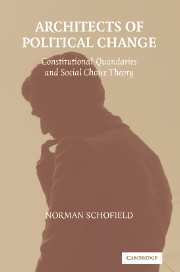 The treatment adapts a formal model of elections to consider rapid constitutional change at periods when societies face quandaries. 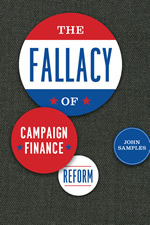 The topics explored in the book include Britain's reorganization of its fiscal system in the eighteenth century to prosecute its wars with France; the Colonies' decision to declare independence in 1776; Madison's argument about the 'probability of fit choice' during the Ratification period of 1787-88; the argument between Hamilton and Jefferson in 1798 1800 over the long run organization of the US economy and the election of Lincoln in 1860." See Amazon or Barnes & Noble. "Americans are deeply divided over the Second Amendment. Some passionately assert that the Amendment protects an individual's right to own guns. Others, that it does no more than protect the right of states to maintain militias. Now, in the first and only comprehensive history of this bitter controversy, Saul Cornell proves conclusively that both sides are wrong. 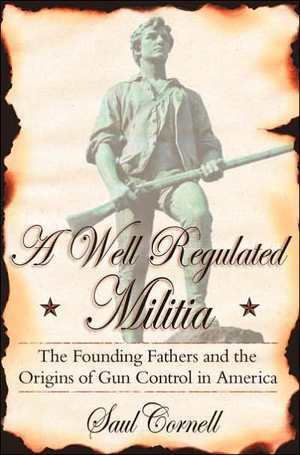 Cornell, a leading constitutional historian, shows that the Founders understood the right to bear arms as neither an individual nor a collective right, but as a civic right--an obligation citizens owed to the state to arm themselves so that they could participate in a well regulated militia. " Over the course of the past decade, the behavioral analysis of decisions by the Supreme Court has turned to game theory to gain new insights into this important institution in American politics. 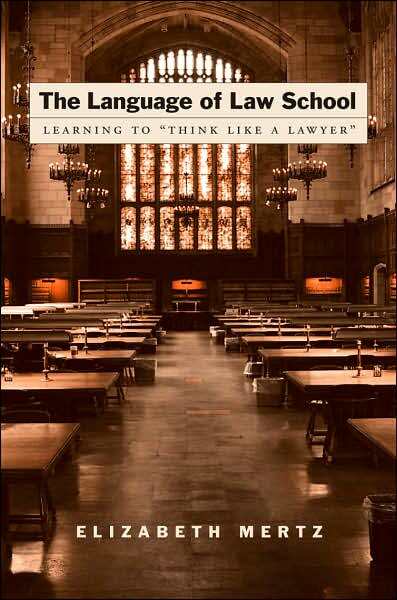 Game theory highlights the role of strategic interactions between the Court and other institutions in the decisions the Court makes as well as in the relations among the justices as they make their decisions. Rather than assume that the justices’ votes reveal their sincere preferences, students of law and politics have come to examine how the strategic concerns of the justices lead to sophisticated behavior as they seek to maximize achievement of their goals when faced with constraints on their ability to do so…. 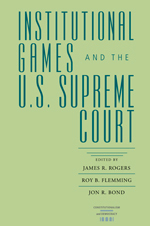 James Rogers, Roy Flemming, and Jon Bond gather various essays that use game theory to explain the Supreme Court's interactions with Congress, the states, and the lower courts. Offering new ways of understanding the complexity and consequences of these interactions, the volume joins a growing body of work that considers these influential interactions among various branches of the U.S. government. This is volume II in the series. Volume I covers 1847 to 1932. The current availability of this book is unclear. Barnes & Noble reports that it is available now. Amazon says it's not but that it should be. Columbia's website says July. At $85.00, it's probably more of a library book anyway.